This article is about the company formed after the merger of the original Dell Inc. and EMC Corporation. For its subsidiary, see Dell. For other uses, see Dell (disambiguation). Current logo as of October 2016. September 7, 2016 (2016-09-07) as a merger of EMC Corporation and Dell Inc.
Dell Technologies portfolio encompasses different technology industries, including personal computer, servers, smartphones and television manufacturing, computer software, computer and network security, as well as information security services. Some of its subsidiaries and acquisitions include Dell, Dell EMC, Pivotal Software, SecureWorks and VMware. Several of the subsidiaries of Dell Technologies altered their names since leaving the original Dell Inc. and EMC Corporation—Dell Inc. became the legal name of Dell Technologies and EMC Corporation becoming Dell EMC, both becoming subsidiaries. Following the restructuring, Michael Dell, founder of the original Dell Inc., became the chairman and chief executive officer of the new company. The establishment of Dell Technologies and its restructuring was to "redefine itself in emerging technologies." It became the world's largest privately held technology company. The announcement came two years after Dell Inc. returned to private ownership, claiming that it faced bleak prospects and would need several years out of the public eye to rebuild its business. It's thought that the company's value has roughly doubled since then. EMC was being pressured by Elliott Management, a hedge fund holding 2.2% of EMC's stock, to reorganize their unusual "Federation" structure, in which EMC's divisions were effectively being run as independent companies. Elliott argued this structure deeply undervalued EMC's core "EMC II" data storage business, and that increasing competition between EMC II and VMware products was confusing the market and hindering both companies. The Wall Street Journal estimated that in 2014 Dell had revenue of $27.3 billion from personal computers and $8.9bn from servers, while EMC had $16.5bn from EMC II, $1bn from RSA Security, $6bn from VMware, and $230 million from Pivotal Software. EMC owns around 80% of the stock of VMware. The proposed acquisition will maintain VMware as a separate company, held via a new tracking stock, while the other parts of EMC will be rolled into Dell. Once the acquisition closes Dell will again publish quarterly financial results, having ceased these on going private in 2013. The combined business is expected to address the markets for scale-out architecture, converged infrastructure and private cloud computing, playing to the strengths of both EMC and Dell. 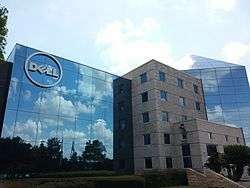 Commentators have questioned the deal, with FBR Capital Markets saying that though it makes a "ton of sense" for Dell, it's a "nightmare scenario that would lack strategic synergies" for EMC. Fortune said there was a lot for Dell to like in EMC's portfolio, but "does it all add up enough to justify tens of billions of dollars for the entire package? Probably not." The Register reported the view of William Blair & Company that the merger would "blow up the current IT chess board", forcing other IT infrastructure vendors to restructure to achieve scale and vertical integration. The value of VMware stock fell 10% after the announcement, valuing the deal at around $63–64bn rather than the $67bn originally reported. Key investors backing the deal besides Dell are Singapore's Temasek Holdings and Silver Lake Partners. Dell's offer will remain open for 60 days during which EMC can seek other possible buyers, but this is believed to be unlikely: Hewlett-Packard (potentially a better fit for EMC) is preoccupied with its own split, and the deal has been welcomed by Elliott Management and EMC's chairman Joe Tucci. On September 7, 2016, Dell Inc. completed its $60 billion deal to acquire EMC Corp., the largest technology merger in history. The new company, Dell Technologies, employs about 140,000 people globally and will maintain operations in Hopkinton, Mass., where EMC was located. With $74 billion in revenue, Dell Technologies is the world's largest private technology company. Dell Technologies is the parent entity, formerly named Denali Holdings Inc. and created when the EMC-Dell deal was agreed to. The server related portions of the former Dell Inc became integrated with the storage systems portion of the former EMC Corp. The other members of the EMC federation became subsidiaries of Dell Technologies, including Pivotal Software, RSA Security, Virtustream, Secureworks and the 80% portion of VMWare, a public company. 1 2 De La Merced, Michael J. (October 29, 2013). "Sale of Dell Closes, Moving Company into Private Ownership". The New York Times. DealBook. Retrieved October 29, 2013. 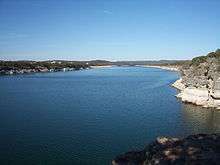 ↑ "Dell Company Profile". Retrieved July 28, 2010. ↑ "Dell Technologies Key Facts" (PDF). Dell Technologies. ↑ "Dell Technologies Top FAQs" (PDF). Dell Technologies. September 7, 2016. ↑ "Form 10-K Annual Report Pursuant to Section 13 or 15(d) of the Securities Exchange Act of 1934 for the Fiscal Year Ended February 3, 2012 Commission File Number: 0-17017 Dell Inc.". i.dell.com. Dell Inc. March 13, 2012. Retrieved October 29, 2014. 1 2 3 Shah, Agam (September 7, 2016). "The new Dell Technologies: 6 things you need to know". PCWorld. Retrieved September 11, 2016. ↑ Darrow, Barb (September 7, 2016). "Meet Michael Dell's New Tech Behemoth". Fortune. Retrieved September 11, 2016. ↑ Swartz, Jon (September 10, 2016). "Dell is bigger, and ready to rumble in the cloud wars". USA Today. Retrieved September 11, 2016. ↑ "Dell agrees $67bn EMC takeover". BBC News. Retrieved October 12, 2015. ↑ Womack, Brian; Bass, Dina. "Dell to Buy EMC in Deal Worth About $67 Billion". Bloomberg.com. Retrieved 2015-10-12. ↑ "Dell finalizes EMC takeover". Twitter. Retrieved September 7, 2016. ↑ "Dell Makes Case to Go Private in Grim Filing". The Wall Street Journal. March 29, 2013. ↑ David Benoit (October 12, 2015). "Dell's Value and the 'Falling Knife'". The Wall Street Journal. ↑ "Elliott Management Sends Letter to Board of Directors of EMC Corporation". BusinessWire. October 8, 2014. 1 2 "EMC Takeover Marks Return of Michael Dell". The Wall Street Journal. October 13, 2015. ↑ "Dell-EMC: The empty shop". Financial Times. October 12, 2015. 1 2 "Dell agrees $63bn acquisition of EMC". Financial Times. October 12, 2015. ↑ Brian Womack (October 21, 2015). "Dell CFO Reluctantly Accepts Public Disclosures With EMC Deal". The Washington Post. ↑ "The merger of Dell and EMC stems from the rise of cloud computing". The Economist. October 12, 2015. ↑ Mike Stone (October 8, 2015). "Dell in talks to buy data storage company EMC: source". Reuters. ↑ Stacey Higginbotham (October 8, 2015). "A Dell-EMC deal doesn't make sense. Here's why". Fortune. ↑ "Dell hooking up with EMC and going public again? Come off it". The Register. October 9, 2015. ↑ Tom Braithwaite (October 13, 2015). "Dell-EMC deal: why VMware is falling". Financial Times. ↑ "BOOM: Dell to Acquire EMC for $67 Billion". Sovereign Wealth Fund Institute. October 12, 2015. ↑ Maureen Farrell (October 8, 2015). "How and Why Dell Could Buy EMC". The Wall Street Journal.